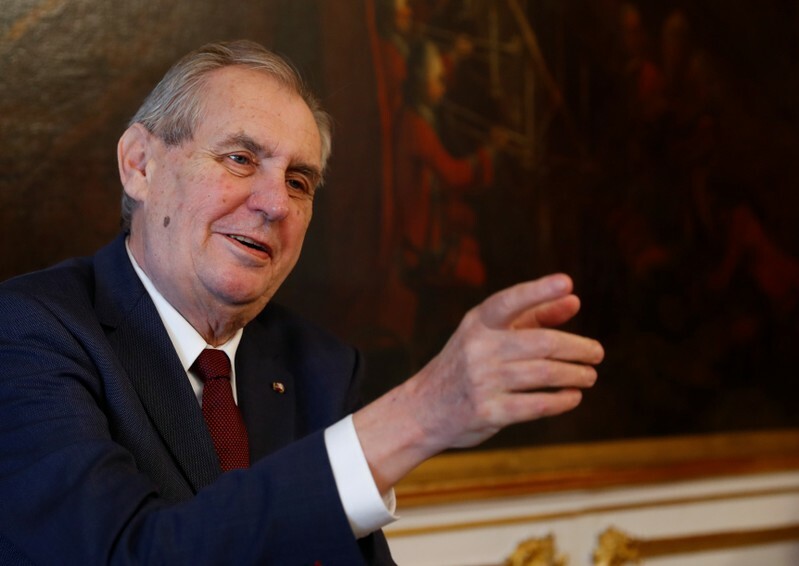 VIENNA (Reuters) – The vice-mayor of the Austrian town where Adolf Hitler was born resigned from his post and the far-right Freedom Party on Tuesday after provoking strong criticism with a poem in which he compared migrants with rats. 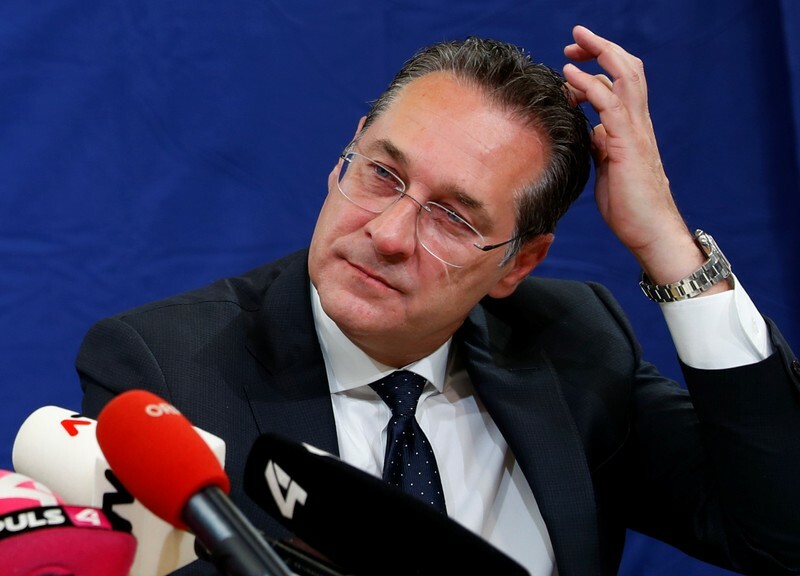 Christian Schilcher left the Freedom Party (FPO) to avoid damaging the junior partner in a national coalition with Chancellor Sebastian Kurz’s conservatives, FPO chief Heinz-Christian Strache told a news conference in Vienna. 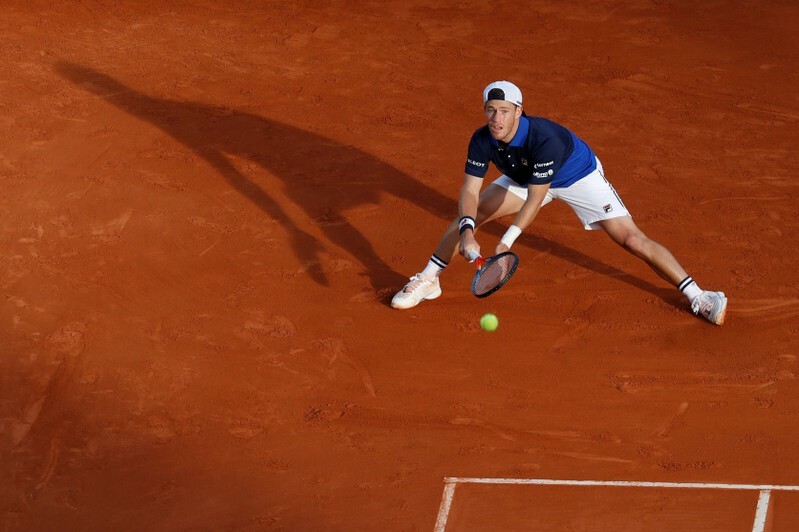 Argentina’s Diego Schwartzman overcame 53 unforced errors to defeat Japan’s Yoshihito Nishioka 4-6, 6-4, 6-2 in the opening round Monday at the Barcelona Open Banc Sabadell in Barcelona, Spain. Nishioka struggled with cramps during the 2-hour, 19-minute match. Schwartzman, ranked No. 25 in the world, was playing his third match in Barcelona after having to qualify because he forgot to sign up before the tournament deadline. Schwartzman will face third-seeded Dominic Thiem of Austria in the second round. Thiem is 3-2 in their head-to-head series, but Schwartzman has won the last two meetings — including a three-setter at the Argentina Open in February. Elsewhere on Monday, Argentina’s Leonardo Mayer outlasted Romania’s Marius Copil 6-3, 6-7 (3), 7-5 and will face top seed and 11-time champion Rafael Nadal. Two other former champions are in the draw, with 2010 winner Fernando Verdasco defeating Feliciano Lopez 6-4, 6-3 in an all-Spanish battle. Japan’s Kei Nishikori, the 2014 Barcelona champ and fourth seed this year, will face Taylor Fritz in the second round after Fritz’s 6-3, 6-4 win against fellow American Reilly Opelka. Other winners Monday included Mackenzie McDonald, Spain’s Jaume Munar, Germany’s Jan-Lennard Struff, Chile’s Nicolas Jarry and Hungary’s Marton Fucsovics. Italy’s Matteo Berrettini fired 11 aces in a 6-4, 6-4 upset of seventh-seeded Mikhail Kukushkin of Kasakhstan in first-round action in Budapest. In the second round, Berrettini will face Slovenian Aljaz Bedene, who was down a double break in the first set but rallied for a 7-6 (3), 6-3 victory against Australia’s Bernard Tomic. Eighth-seeded Radu Albot of Moldova opened with a 7-5, 6-4 win against Sergiy Stakhovsky, breaking the Ukrainian twice in each set and closing it out on his fourth match point in 1 hour, 41 minutes. Albot will face qualifier Filip Krajinovic of Serbia, who dropped five match points in the second set but recovered to beat Italy’s Andreas Seppi 6-2, 6-7 (3), 7-5. BEIJING (Reuters) – China’s Belt and Road project is not a “geopolitical tool” or a debt crisis for participating nations, but Beijing welcomes constructive suggestions on how to address concerns over the initiative, the government’s top diplomat said on Friday. The United States has been particularly critical of Italy’s decision to sign up to the plan last month, during Xi’s visit to Rome, the first for a G7 nation. Chinese State Councillor Wang Yi, the government’s top diplomat, told reporters that the Belt and Road scheme had brought real benefits to participating countries. “This partnership relationship is not a geopolitical tool, but a platform for cooperation,” he said. “You can’t put hats like ‘debt crises’ onto the head of the Belt and Road, and this is not something any participating country would recognize,” Wang added. “Of course, there is a development process for the Belt and Road. You can’t get there in one step, and it’s unavoidable it will cause some worries during its development. So we welcome all sides to come up with constructive suggestions,” he said. The United States will not send high-level officials, a U.S. State Department spokesman said earlier this month, citing concerns about financing practices for the initiative. Wang said there would be Americans at the summit, made up of diplomats, state-level officials, executives and academics, though he did not give details. “We welcome any country that is interested to take part. When the United States participates, or whether it participates, is up to them to decide,” he added. While the United States and China are currently working to end a bitter trade war, they have numerous other areas of disagreement, including human rights and U.S. support for self-ruled Taiwan. China on Monday condemned as “slanderous” criticism U.S. Secretary of State Mike Pompeo made of Beijing’s policies in South America last week. “The United States has no plans to send high-level officials from Washington to the Belt and Road Forum,” a U.S. Embassy in Beijing spokesman said. At the first Belt and Road summit two years ago, the United States submitted a diplomatic note to China complaining about North Korea’s participation, though since then Washington and Pyongyang have sought to re-set ties, including with two summits between their leaders. Wang said North Korea would also take part in this year’s summit, but gave no further details. 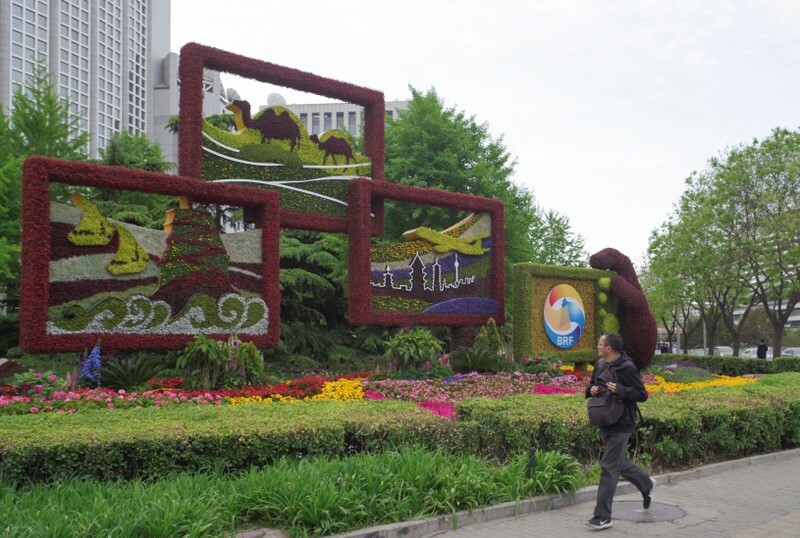 More than 150 countries are sending delegations, and there will be some 5,000 guests, Wang said. 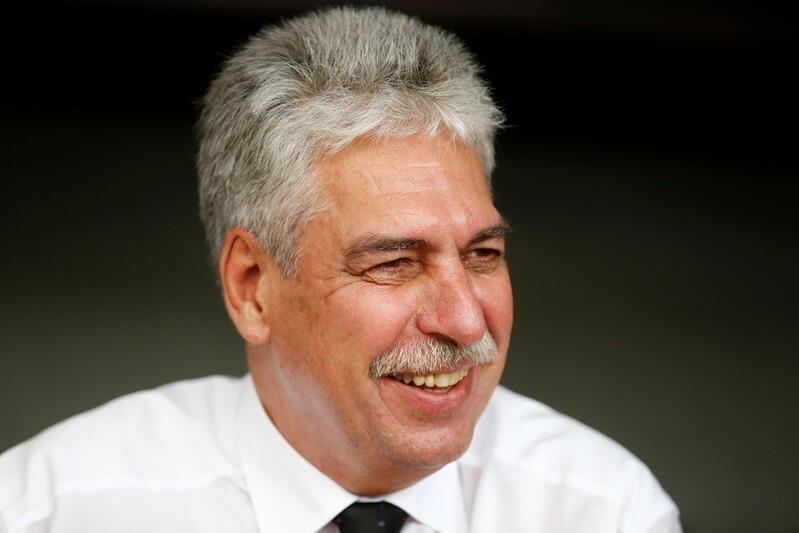 VIENNA (Reuters) – Austria’s former-finance minister Hans Joerg Schelling has been nominated to serve as a member of the supervisory board at OMV, the oil and gas group said on Thursday. Schelling, a member of Chancellor Sebastian Kurz’s conservatives, served as finance minister in the previous government until December 2017. Last year, he agreed to work as an adviser for the Russian-lead Nord Stream 2 pipeline project, of which OMV is a financing partner. Austria holds 31.5 percent in the country’s largest listed company via state holding OeBAG and Abu Dhabi state investor Mubadala is a second core shareholder with 24.9 percent. Nine of OMV’s 15 supervisory board mandates must be reassigned at the annual shareholder meeting on May 14. Eight contracts expire and the current board chair, former Siemens chief executive Peter Loescher has also decided to step down. 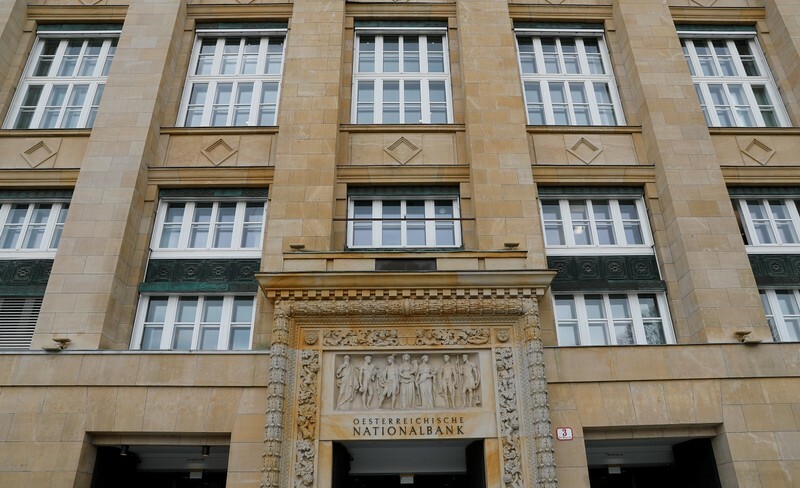 OeBAG boss Thomas Schmid and the chief executives of Vienna Insurance, Elisabeth Stadler, and Lenzing, Stefan Doboczky, are also nominated as new candidates for the supervisory board, OMV said on its website. As a finance minister, Schelling supported OMV in its negotiations on an asset swap with Gazprom and in 2016 took part in the ceremony, in which OMV agreed to exchange a stake in its Norwegian business for a stake in the Russian group’s Achimov oil and gas exploration blocks. The deal was abandoned last year due to opposition from Norway. OMV said at the time that it would buy the Siberian assets instead of swapping them. 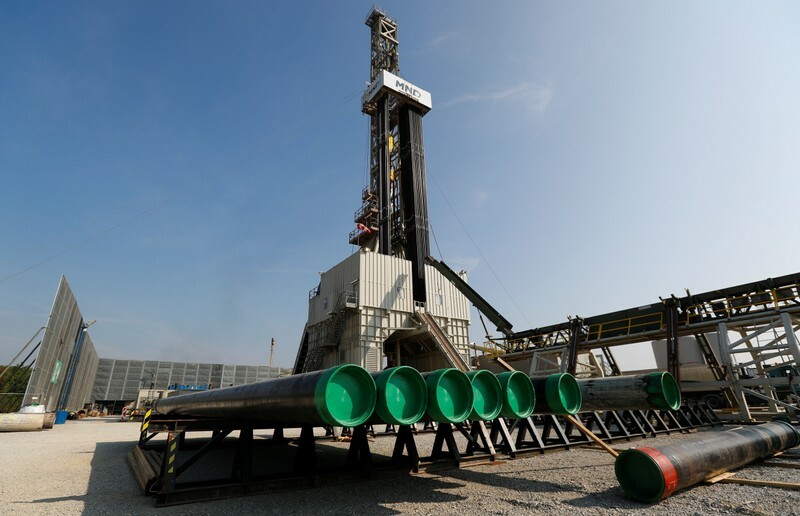 There is still no deal and OMV CEO Rainer Seele has said he expects the price negotiations to drag on until summer after he had initially guided for an agreement in early 2019. WASHINGTON (Reuters) – A new Trump administration report on international compliance with arms control accords provoked a dispute with U.S. intelligence agencies and some State Department officials concerned that the document politicizes and slants assessments about Iran, five sources with knowledge of the matter said. 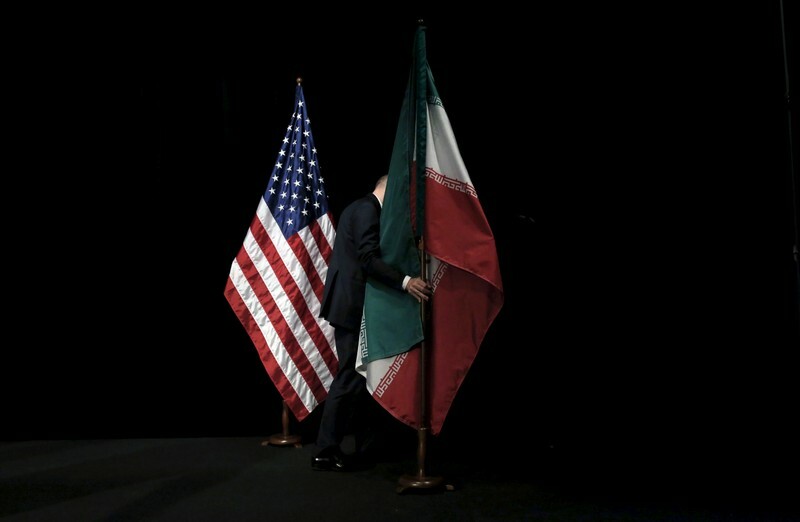 U.S. President Donald Trump is intensifying a drive to contain Iran’s power in the Middle East, which has raised fears that his administration wants to topple the Tehran government or lay the groundwork to justify military action. The clash among U.S. officials emerged on Tuesday when the State Department posted on its website, and then removed, an unclassified version of an annual report to Congress assessing compliance with arms control agreements that the sources saw as skewed Iran. Washington also has piled on tough economic sanctions following Trump’s withdrawal from the 2015 nuclear deal between Iran and world powers. The administration also is waging a propaganda campaign, including over social media, aimed at fueling popular anger against Iran’s government. Several sources said the report, which reappeared without explanation on Wednesday, made them wonder if the administration was painting Iran in the darkest light possible, much as the George W. Bush administration used bogus and exaggerated intelligence to justify its 2003 invasion of Iraq. The report was published to meet a mandatory April 15 deadline by which it had to go to Congress, the department said. A more comprehensive unclassified version will be provided after the completion of a review of what information in the classified report can be made public, the spokeswoman said. The department did not address the internal dispute over the report or concerns of politicization. The unclassified “Adherence to and compliance with arms control, nonproliferation and disarmament agreements and commitments” report omitted assessments of Russian compliance with landmark accords such as the Intermediate-range Nuclear Forces (INF) Treaty and the New START arms control treaty. The section made no mention of judgments by U.S. intelligence agencies and the International Atomic Energy Agency that Iran ended a nuclear weapons program in 2003 and has complied with the 2015 deal that imposed restrictions on its civilian nuclear program. 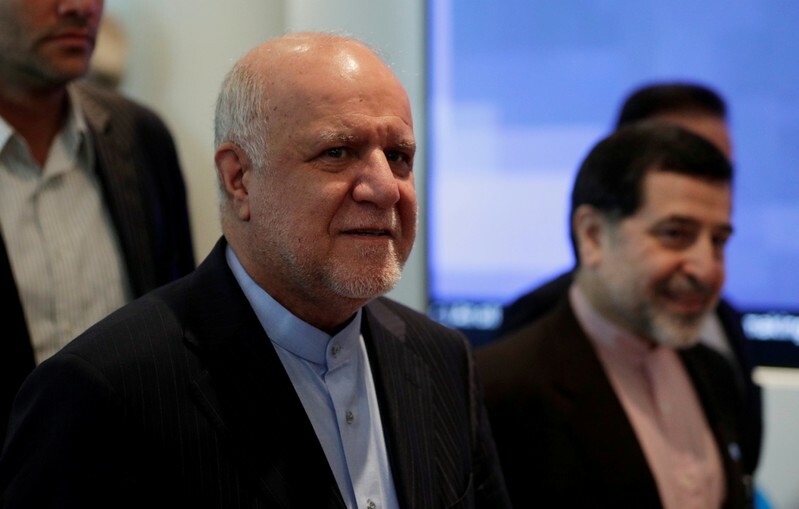 Instead, it said Iran’s retention of a nuclear archive disclosed last year by Israel raised questions about whether Tehran might have plans to resume a nuclear weapons program. It added that any such effort would violate the NPT, as would any Iranian retention of undeclared nuclear material, though it offered no evidence that Iran had done either. “It’s piling inference upon inference here to try to create a scary picture,” said a congressional aide, who requested anonymity to discuss the issue, as did the other sources. The aide added that by stripping out much of the report’s normal content, the documents largely had become about Iran. “There is significant concern that the entire sort of purpose … was to help build a case for military intervention in Iran in a way that seems very familiar,” the source said, referring to the Bush administration’s use of erroneous intelligence before the invasion of Iraq 16 years ago that ousted President Saddam Hussein. The 12-page report, down from last year’s 45-page document, reflected a disagreement between Assistant Secretary of State Yleem Poblete, whose office is charged with its drafting, and her boss, Undersecretary of State Andrea Thompson, three of the sources said. Two sources said Poblete had sought to include information such as news stories and opinion pieces in the report, which traditionally is based on legal analyses of U.S. intelligence reports. The State Department did not comment on Poblete’s role. A second former U.S. official said he believed that the report was being used to advance the Trump administration’s views on Iran rather than to reflect information gathered by intelligence agencies and assessments of that information by State Department experts. While saying they did not know why the report had been so abbreviated, removed and then restored from the website, analysts asked if there was an effort underway to demonize Iran. “The worst case of course would be that we are observing signs of a politicization of intelligence for the purpose of serving what the top of the administration would like to accomplish,” said nuclear expert Hans Kristensen of the Federation of American Scientists in Washington.